Instagram estrena look, i quin look. 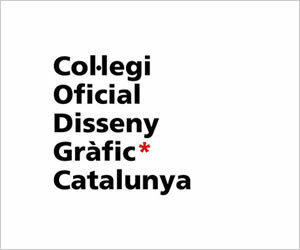 Més colorista, més modern, més frec i, sembla, més usable… i més arriscat. La veritat es que portava amb la mateixa imatge des de fa molt de temps i ja li tocava un redisseny potent, tot i que no sé si aquesta és la millor solució. Amb la incorporació del multiusuari ja vam guanyar molt i ara espero que amb el canvi d’imatge també guanyem molt. Today we’re introducing a new look. You’ll see an updated icon and app design for Instagram. Inspired by the previous app icon, the new one represents a simpler camera and the rainbow lives on in gradient form. You’ll also see updated icons for our other creative apps: Layout, Boomerang and Hyperlapse. The Instagram community has evolved over the past five years from a place to share filtered photos to so much more — a global community of interests sharing more than 80 million photos and videos every day. Our updated look reflects how vibrant and diverse your storytelling has become. Thank you for giving this community its life and color. You make Instagram a place to discover the wonder in the world. Every photo and video — from the littlest things to the most epic — opens a window for people to broaden their experiences and connect in new ways.